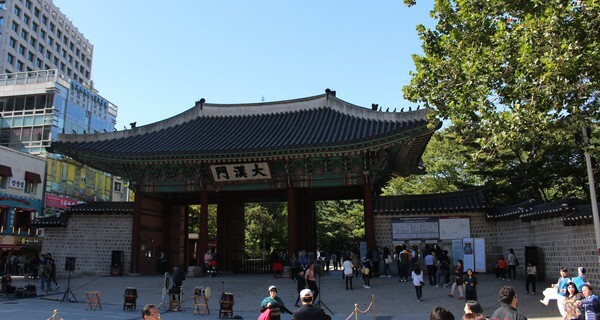 It is one of the "Five Grand Palaces" built by the kings of the Joseon Dynasty. The buildings are of varying construction, including some of natural cryptomeria wood, painted wood, and stucco. Some buildings were built in Western style. 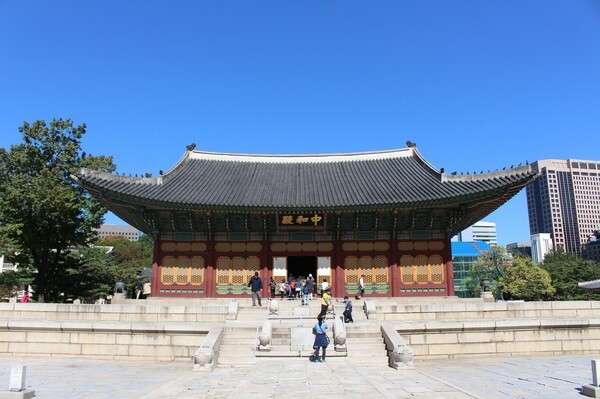 Deoksugung Palace is special among Korean palaces. 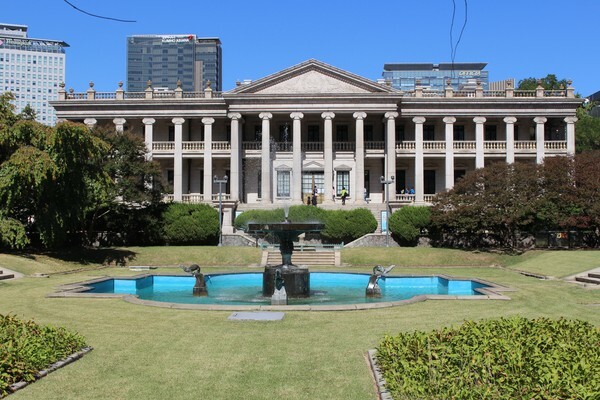 It has a modern and a western style garden and fountain. 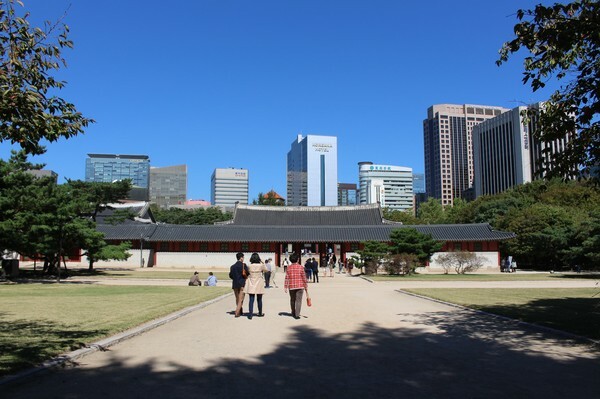 Deoksugung, like the other "Five Grand Palaces" in Seoul, was intentionally heavily destroyed during the colonial period of Korea. Currently, only one third of the structures that were standing before the occupation remain. 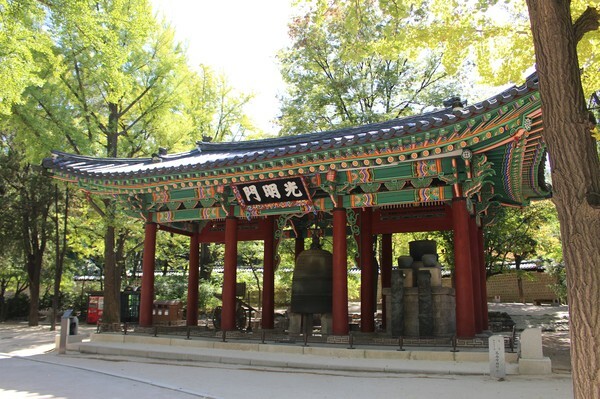 Also known as ‘Jeongdong-gil road,’ Deoksugung Doldam-gil (Deoksugung Stone Wall Road) is the road along Deoksugung Palace’s stone wall and is a popular place for romantic strolls. In the fall, yellow ginkgo leaves add to the romantic ambience. 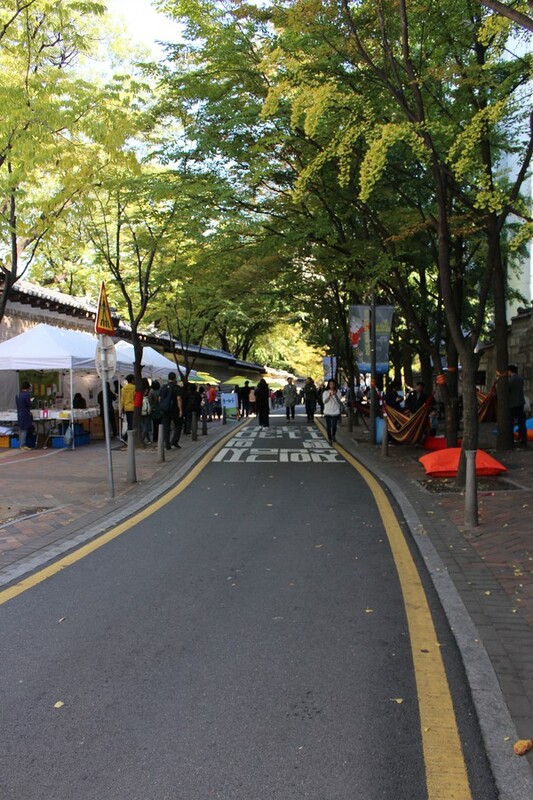 This elegant road is about 900 meters long and stretches from Deoksugung Palace by Seoul City Hall to Jeongdong Theater. 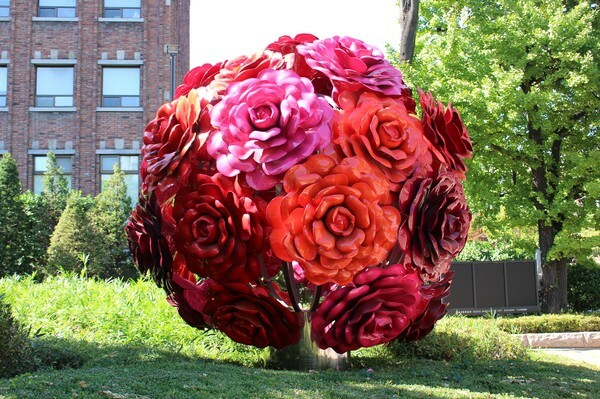 There are numerous cultural sites as well as traditional and modern structures along the way that make the trip all the more worthwhile. 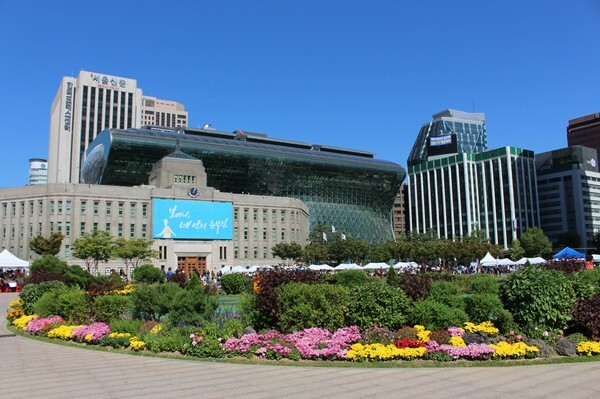 Utanför Seoul museum of art.